The pension crisis in America is speeding up. Several public pensions failed in the past year, and a landmark court decision has allowed public pensions to slash benefits for the first time ever. Now, private pensions are buckling as well. Private pensions have a little more leeway when it comes to managing payouts and keeping themselves solvent, mainly because they have fewer legal obligations than their public counterparts. But that extra slack isn’t enough to keep private pensions out of trouble anymore. Now the same woes toppling public pensions are causing big problems for private pensions, too. Major pension cuts by two Fortune 500 companies—UPS and General Mills—are proof. 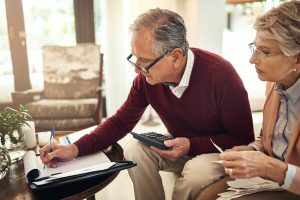 These two cases confirm a broader trend toward private pension benefit downsizing, outlined in a 2016 research report. The report shows a big contraction in private pension benefits over the past decade, and it predicts the trend will grow stronger in coming years. This trend is causing problems for older workers in the private sector, and it’ll only get worse. Plus, it’s intensifying the risks already present from the public pension crisis that could easily snowball into a larger economic crisis. The instability in private pensions shows that the pension crisis isn’t going to slow down anytime soon, and its effect on Americans is going to grow more severe. Where Did Baby Boomers Go Wrong?